Exclusive Cutter and Buck® design featuring striking ebony black bottom barrel with mirror-finish chrome upper barrel. Signature Cutter and Buck® middle ring and chrome accents. 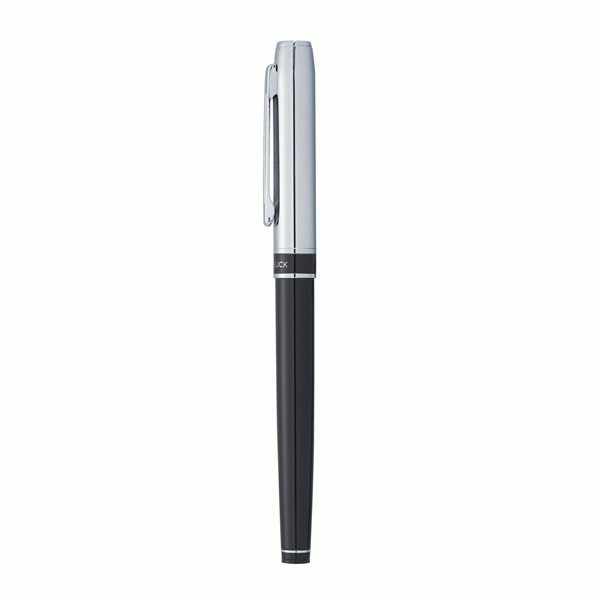 Pen includes premium black German roller ball ink cartridge.